A limited pin set celebrating Jim Calhoun's victory in the Final Four and Lou Carnesecca's successful coaching career. 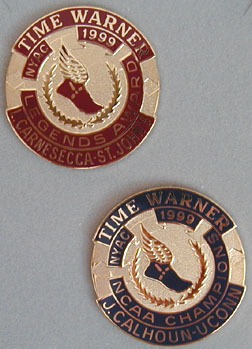 These pins were given out in 1999 after the NCAA tourney at a New York Athletic Club dinner. The pins were commissioned by Chase and made by Balfour.